Hadeharia – the practice of constantly using the word hell in speaking. "Virtually no idea is too ridiculous to be accepted, even by very intelligent and highly educated people, if it provides a way for them to feel special and important. Some confuse that feeling with idealism." A friend has a store in a suburban shopping centre in a provincial city. She and other retailers got a visit from a council worker informing them road works were planned that would take out parking outside their businesses for several weeks. The retailers weren’t happy. They explained that if people couldn’t park, they were far less likely to shop and their businesses would suffer, some fatally. The council worker had a solution for that: they could close down to do refurbishment or take a holiday while the work was being done. That the council worker didn’t understand that if their shops weren’t open they would still incur almost all their costs with none of the income left the retailers gobsmacked. An ignorance of the business of business is not confined to council workers. Policies and pontificating from government shows an alarming ignorance too which is no doubt related to the lack of business experience. The Jacinda Ardern has said she’s had small business experience but Kiwiblog shows how little. Her Labour Cabinet colleagues are similarly lacking in business experience, Damien O’Connor is the only one to have owned and run his own. Labour makes much of the need for diversity. How much better New Zealand would be if diversity in government included a lot more experience in and knowledge and understanding of business. I’m at the age where I’ve got to prove that I’m just as good as I never was. – Sir Rex Harrison who was born on this day in 1908. 1046 Naser Khosrow began the seven-year Middle Eastern journey which he will later describe in his book Safarnama. 1133 – King Henry II of England, was born (d. 1189). 1324 King David II of Scotland, was born (d. 1371). 1326 Louis I of Hungary, was born (d. 1382). 1496 King Henry VI issued letters patent to John Cabot and his sons, authorising them to explore unknown lands. 1766 Antonio de Ulloa, the first Spanish governor of Louisiana arrived in New Orleans. 1770 Boston Massacre: Five Americans, were killed by British troops. 1784 Thomas Townshend, 1st Viscount Sydney was named President of the Board of Trade. 1824 First Burmese War: The British officially declare war on Burma. 1836 Samuel Colt made the first production-model revolver, the .34-caliber. 1850 The Britannia Bridge across the Menai Strait between the Isle of Anglesey and the mainland of Wales opened. 1860 Parma, Tuscany, Modena and Romagna voted in referenda to join theKingdom of Sardinia. 1868 A court of impeachment was organized in the United States Senate to hear charges against President Andrew Johnson. 1872 George Westinghouse patented the air brake. 1904 Nikola Tesla, in Electrical World and Engineer, described the process of the ball lightning formation. 1908 Sir Rex Harrison, English actor, was born (d. 1990). 1912 Italian forces were the first to use airships for military purposes, using them for reconnaissance behind Turkish lines. 1933 President Franklin D. Roosevelt declared a “bank holiday”, closing all U.S. banks and freezing all financial transactions. 1936 Canaan Banana, first President of Zimbabwe, was born (d. 2003). 1937 Olusẹgun Ọbasanjọ, President of Nigeria, was born. 1940 Members of Soviet politburo signed an order for the execution of 25,700 Polish intelligentsia, including 14,700 Polish POWs, known also as the Katyn massacre. 1942 Felipe González, Prime Minister of Spain, was born. 1943 First flight of Gloster Meteor jet aircraft in the United Kingdom. 1946 Winston Churchill used the phrase “Iron Curtain” in his speech at Westminster College, Missouri. 1946 Hungarian Communists and Social Democrats co-founded the Left Bloc. 1948 Elaine Paige, English singer and actress, was born. 1949 The Jharkhand Party was founded in India. 1952 – Alan Clark, English keyboardist (Dire Straits), was born. 1958 The Explorer 2 spacecraft launched and failed to reach Earth orbit. 1960 The Aquatic Ape Hypothesis originated when Alister Hardy publicly announced his idea that ape-human divergence may have been due to a coastal phase. 1962 Charlie and Craig Reid, Scottish musicians (The Proclaimers), were born. 1965 March Intifada: A Leftist uprising erupts in Bahrain against British colonial presence. 1966 BOAC Flight 911 crashed on Mount Fuji killing 124. 1970 John Frusciante, American musician (Red Hot Chili Peppers), was born. 1970 The Nuclear Non-Proliferation Treaty went into effect after ratification by 43 nations. 1973 Donald DeFreeze, the future Symbionese Liberation Army leader, escaped from Vacaville Prison. 1974 Yom Kippur War: Israeli forces withdrew from the west bank of the Suez Canal. 1978 The Landsat 3 was launched from Vandenberg Air Force Base in California. 1979 Soviet probes Venera 11, Venera 12 and the American solar satelliteHelios 2 were hit by “off the scale” gamma rays leading to the discovery ofsoft gamma repeaters. 1979 – Voyager 1‘s closest approach to Jupiter, 172,000 miles. 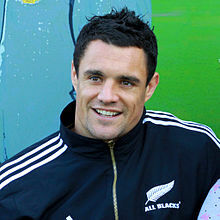 1982 Daniel Carter, New Zealand rugby player, was born. 1982 Venera 14, a Soviet satellite, arrived at Venus. 1984 – 6,000 Miners in the United Kingdom began their historic strike at Cortonwood Colliery. 1999 Paul Okalik was elected first Premier of Nunavut. 2001 In Mecca, 35 Muslim pilgrims were crushed to death during the annual Hajj pilgrimage. 2003 17 Israeli civilians were killed by a Hamas suicide bomb in the Haifa bus 37 massacre. 2012 – Invisible Children launched the Stop Kony campaign with the release of Kony 2012. 2012 – At least two people were killed and six injured after a shooting in a hair salon in Bucharest, Romania. 2013 – New Zealand’s census was held after a 2-year delay as a result of the Canterbury earthquakes. You are currently browsing the Homepaddock blog archives for the day Tuesday, March 5th, 2019.